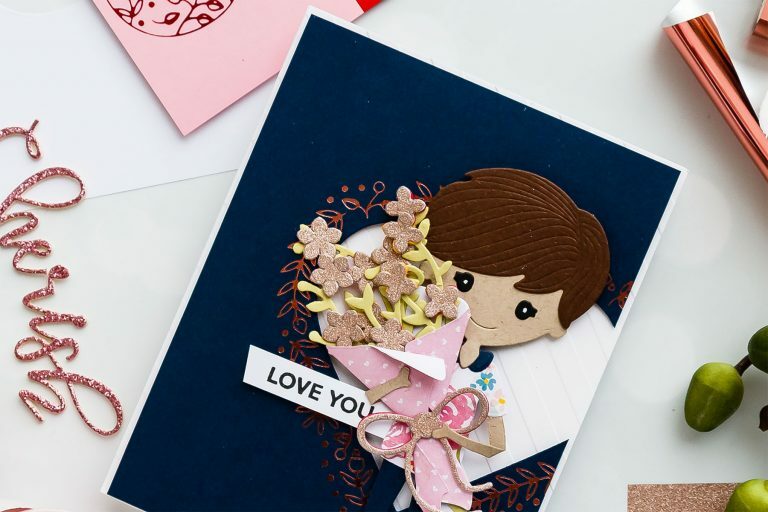 To create this card we first die-cut parts & pieces to create a boy using Small Die of the Month dies. 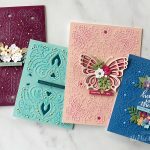 Watch our January 2019 Small Die of the Month video to learn how to use these dies. 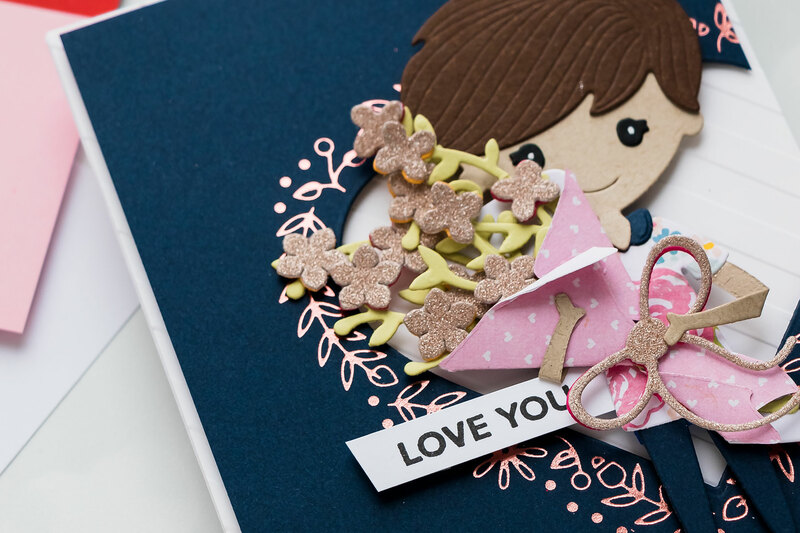 Next, using Large Die of the Month we created a bouquet and arranged boy’s arms as if he’s holding it. 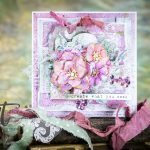 Watch our January 2019 Large die of the Month video to learn how to make a bouquet. 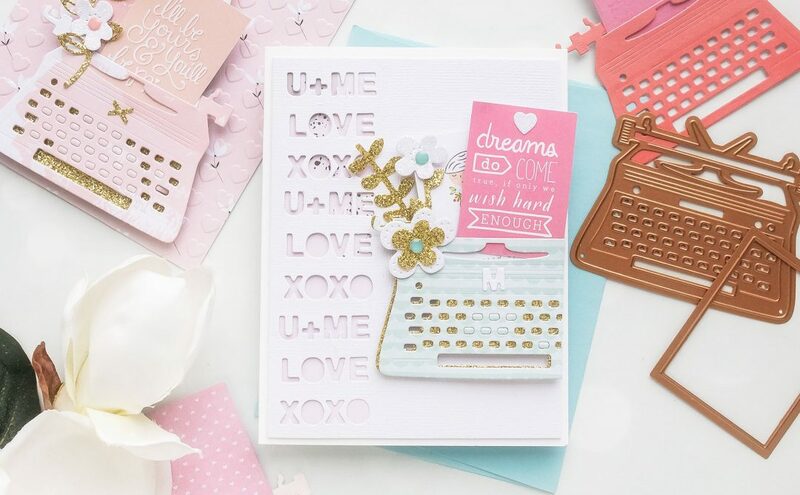 To create the card background we used January 2019 Glimmer Hot Foil kit of the Month and foiled a beautiful heart outline in Rose Gold. 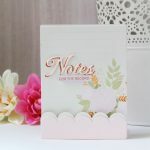 Next, we die-cut the opening in the panel using a heart shape die from the Large Die of the Month (it is designed to coordinate with the Glimmer kit). 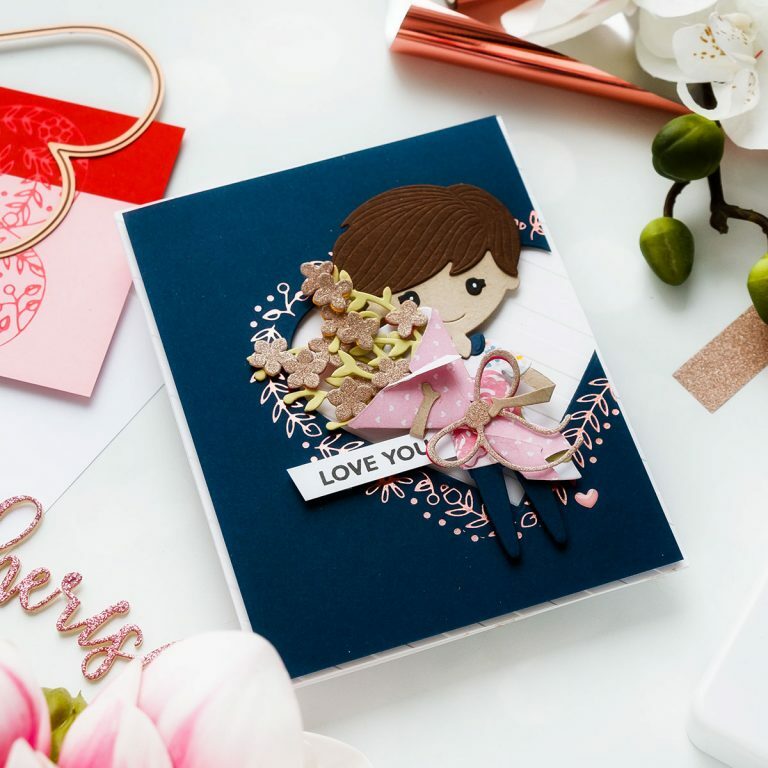 We also dry embossed a stripe panel using Love Stripe embossing folder and Denim Days cardstock and foam mounted blue panel on top. 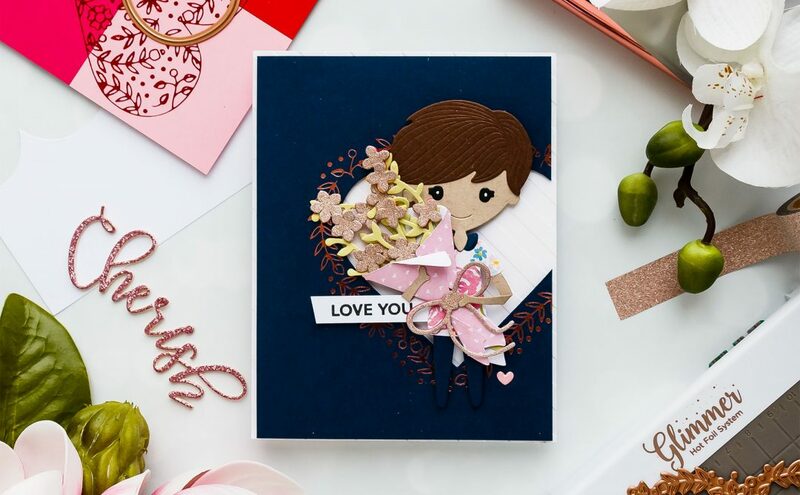 After adhering everything onto the card base and foam mounting the boy, we added a simple “Love You” sentiment stamped using our Thanks a Bunch clear stamp set stamped in Cave Black ink. Lastly, we used a white pen and added details to the boy’s eyes. Now on to you! 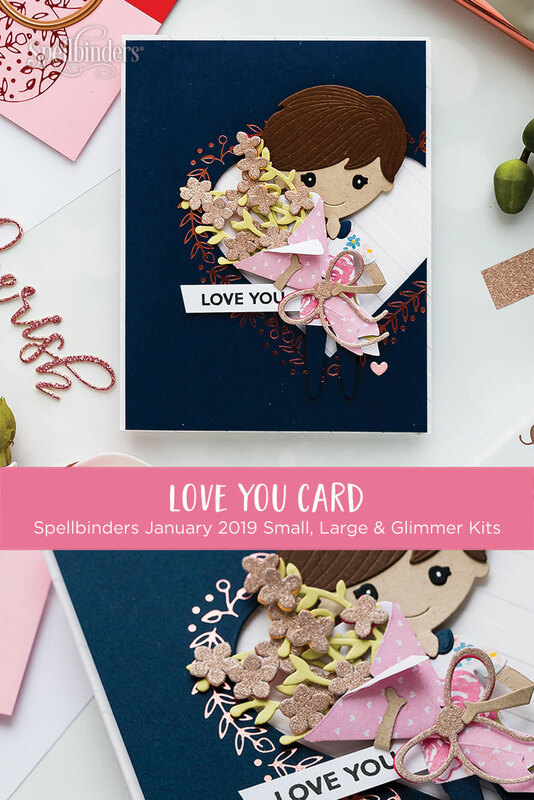 What will you make using your Spellbinders Club Kits? Share online & tag us! Unfortunately, no. These dies are only available to Club Members. If you join can you get the Oct die. 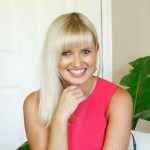 I just saw this and want to join if you can get past die too. Hello, Nancy. 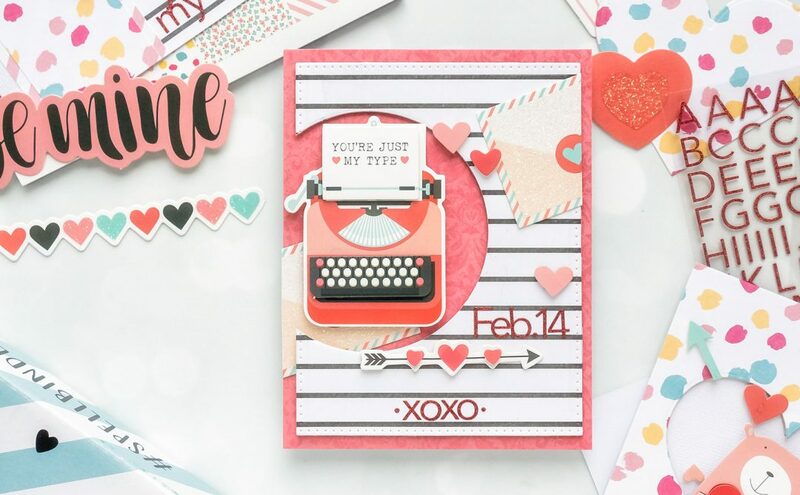 Usually when you join you are able to get past dies (anything from this category https://www.spellbinderspaperarts.com/club-kits/), but the October 2018 Truck Die is sold out, so you wont be able to purchase it.